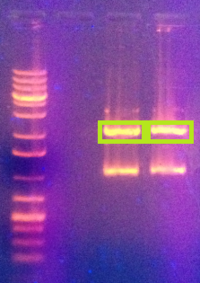 Results of the enzyme digest is shown, with both pSB1A3 bands on the right. 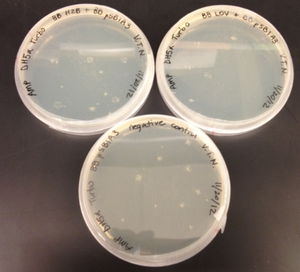 The gel was loaded with 30 μL samples. The bands that were cut are outlined in green. The grown cultures as seen the next day.